Aluminum is the most abundant metal on earth, and it is the second most recycled metal, behind iron. Aluminum has a wide range of applications and uses. 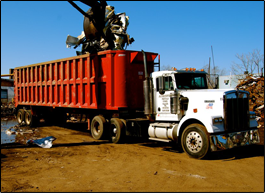 We have both the manpower and the equipment necessary to recycle all grades and quantities of this scrap metal. The most common grade of aluminum is referred to as “old sheet”. Our scrap metal yard is located in Somerville MA, and we have plenty of space to hold trucks and trailers; if you have a lot of metals to recycle, we do pickups too, to make your life easier. It’s time to make the environment a better place, by recycling your scrap aluminum; there are other metals we recycle too, please click here!